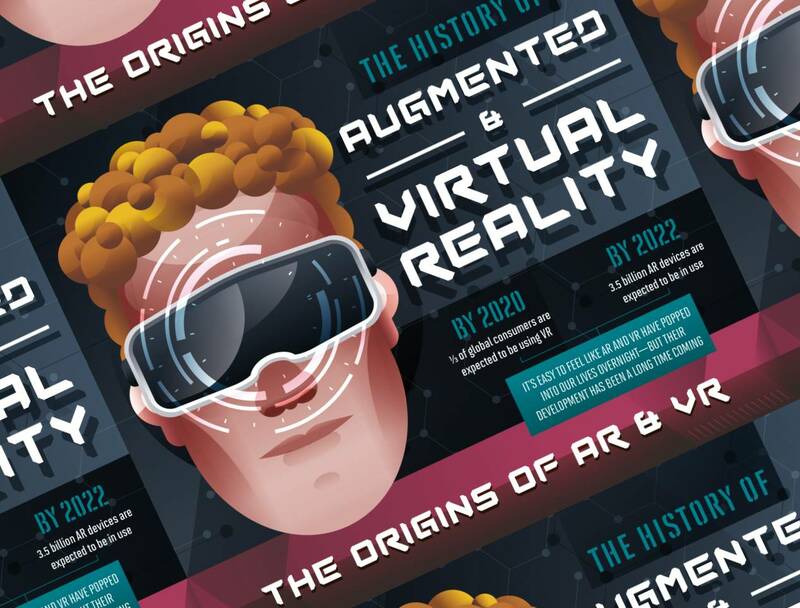 Though the excitement surrounding virtual and augmented reality capabilities have earned extreme media attention in recent years, the reasons and tech behind the hype are anything but new. Since the 18th century, scientists have been working towards creating true virtual spaces and experiences on all levels. Beginning with simple optical illusions and lighting trickery, all the way to optic lasers and full body simulation tools, VR tech goes way back, perhaps further than you think. With inventions like the telephone and electricity, people of the time experienced their world shrink, yet at the same time, broaden. Opportunities for travel blossomed, communication techniques grew, and soon collective curiosity and imagination of “what’s really out there” would influence a generation of scientists, engineers, authors, and thought leaders. In 1839, born from the brilliant mind of English scientist Charles Wheatstone, the stereoscope made its debut. Allowing users to view a large, 3D image through just a modest sized headset, this device made use of optical illusions to transport viewers to different worlds. Though simple in comparison to the smartphone compatible headsets on the market today, its very likely that your HTC Vive wouldn’t exist if not for this original invention. More developments involving virtual reality inspired headgear, the Telesphere mask of 1960 stands out as another iconic piece of technological advancement. Developed by cinematographer and VR pioneer Morton Heilig, the Telesphere mask became the first ever head-mounted display, or HMD. Using stereoscopic technology, 3D imagery, widescreen vision, and stereosound, this mid century tech took VR experiences to a whole new level incorporating more than just what we can see and including other senses as well for an immersive tool. Further along in history as flight technology steadily developed, virtual experiences to emulate flight for training purposes cropped up. In 1929, almost a century after the stereoscope, Edwin Link developed the Linktrainer Flight Simulator. Resembling modern aircraft of the time, this device was a few steps up from a simple headset, however. The fuselage simulated plane movement, had a realistic cockpit, and introduced new pilots to the mechanics, and of course the dangers, of space flight. Operated through pneumatic pumps, users were given an experience as close to the real thing that prepared them for a future in the sky. Years later, the Air Force took inspiration for an updated simulator in 1986 for their training exercises. Incorporating higher tech HMDs that projects computer generated 3D images, infrared, radar, and avionics data that created a larger than life simulated aircraft experience. A far cry greater advancement than the 1920’s version, pilots were able to operate and control the simulated through gestures and eye movements. Even with all this technology at our disposal, we still cannot predict the future with certainty. However, we can draw from the events of the past and how they influence our present to get a good idea of just how far VR can take us. Education stands out as a promising application, giving students opportunities to experiences different cultures and languages, game-based learning options, and virtual field trips. Safety and healthcare to help train EMTs, firefighters, law enforcement, and other first responders before they even enter the field. VR entertainment is already boasting incredible technologies through immersive video games, responsive controls, and interactive features that the Virtual Boy doesn’t even come close to. Clunky first generation headsets paved the way for the success of over 250 VR option on the market today. In a relatively short time, this technology has come a long way, combating technological roadblocks and endured countless years of simply waiting for tech to catch up to its innovative concept. Take a look at this infographic for more on the history of virtual and augmented reality, what we can learn from original designs, and how we can apply those advancements for the predictions of tomorrow.